Hydroponics & Aquaponics are soilless ways of gardening and plants are grown in nutrient solution. Surprisingly, these systems require only roughly 10% of the water that soil-based agriculture methods commonly require. Do you know? Fish need water replacement. How is water loss occurs in Hydroponics & Aquaponics? According to World Bank, Agriculture accounts for 70 percent of all water withdrawals globally, and an even higher share of “consumptive water use” due to the evapotranspiration requirements of crops. Agricultural flood irrigation in large fields loses water to simple evaporation, run-off, and dispersion beyond the reach of plant roots. The agricultural industry is changing its practices to be more water-wise. But even the best drip irrigation only cuts flood irrigation losses by about one-fourth, nothing close to hydroponics.! Traditional gardening requires 10 times the water use of a recirculating system. Essentially, hydroponic plants grow in water, with growing media material such as leca, the fibers from coconut shells or Styrofoam holding the plants in place. The roots float in water that provides all the nutrition the plants need. This water works double-time by both quenching the plants’ thirst and feeding them. In most hydroponic systems, water is recirculated. Run-off water that plants don’t absorb is recaptured. Every bit of water is reused over and over again, an impossibility in traditional, soil-based agriculture. Since it is recirculated and recycled, water never leaves the hydroponics or aquaponics system. In hydroponics, Nitrate-rich water is introduced to the hydroponically grown plants (plants grown without soil). These plants are placed in beds that sit on tubs filled with water, and the water is enhanced by the nitrate harvested from the fish waste. The plants’ bare roots hang through holes in the beds and dangle in the nutrient-laden water. Aquaponics is a similar method which also raises fish while using far lesser water than used in hydroponics. The answer is the continual reuse and recycling of water through naturally occurring biological processes. The basic principle of aquaponics is to put waste to use and recycle it. The waste from fish produces natural bacteria that converts waste like ammonia into nitrate. Then plants absorb these nitrates as a source of nutrients. Fish waste adds nutrients constantly and water returns to the plants. Fish in aquaponic tanks excrete waste and release ammonia into the water. Ammonia is toxic to fish in high concentrations, so it has to be removed from the fish tanks for fish to remain healthy. Ammonia-laden water is processed to harvest helpful types of bacteria such as Nitrosomonas and Nitrobacter. Nitrosomonas turns ammonia into nitrite, while Nitrobacter converts into nitrate. Both of these nitrates can be used as plant fertilizer. The roots of the plants absorb nitrates, which act as nutrient-rich plant food. The nitrates come from fish manure, algae, and decomposing fish feed. These nitrates would otherwise build up to toxic levels in the fish tanks and kill the fish. But instead, they serve as fertilizer for the plants. The plants’ roots function as a biofilter — they strip ammonia, nitrates, nitrites, and phosphorus from the water. Then, that clean water circulates back into the fish tanks. Because fish waste acts as the fertilizer, there’s no need for chemical fertilizers. It saves the money and energy to put those chemicals to work. In fact, the only conventional farming method that’s used to operate an aquaponics system is feeding the fish. Water loss occurs only through Evapotranspiration that is the use and evaporation of water through the plants. The transpired water exits through the leaves as water vapor. One purpose it serves is cooling the plant, and in that way, it can be roughly compared to how people sweat to keep cool. There is no way to eliminate evapotranspiration; it is a necessary function of living plants! You can, however, keep it as efficient as biologically possible by making sure that your temperature range is suitable for the crops you are growing. The exceptional case is any leakage. This might be a broken pipe or split tubing. Tell us in your comments and don’t forget to share this with your friends! Aquaponics – How Many Plants Per Fish? 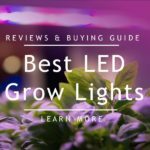 Vivosun Review 2019 – Are These Grow Tents Worth Buying?